As each new season of RuPaul's Drag Race brings fans even more great one liners, rounding up the best catch phrases from RuPaul's Drag Race seemed like a must. Featuring some of the best drag queens in the business, the show pits a crew of fabulous drag queens against each other to compete for the title of "America's Next Drag Superstar" and the stuff that comes from the mouths of the judges and contestants ranges from hilarious to hateful and is always memorable. 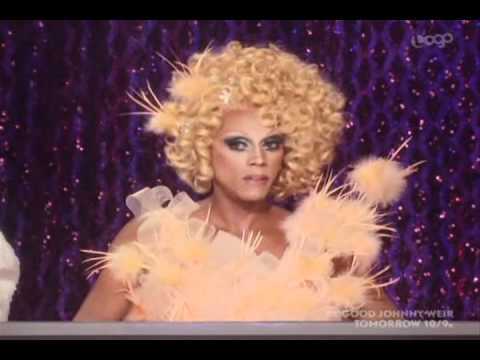 With RuPaul classic catchphrases like "Good luck, and don't f*ck it up" and "It's time to lip-sync for your life" coming up frequently on the show, it's hard to pick just one of the many Drag Race quotes as the best, but this list of the best quotes from RuPaul's Drag Race has a lot to choose from in the search for the greatest Drag Race quotes. There are lots of great RuPaul quotes, but there are plenty of other top drag queens who have already graced the runway and been judged by the likes of Santino Rice, Michelle Visage, a slew of guest judges, and the great RuPaul herself making their marks with clever catchphrases and hateful commentary alike. What are the best quotes from RuPaul's Drag Race? Who has the best catch phrase on RuPaul's Drag Race? It's up to you to choose your favorite RDR quotes, so sashay over to the list and cast your votes. If You Can't Love Yourself, How the Hell Are You Going to Love Somebody Else?